In September, Equifax disclosed a data breach that compromised the personal information of over 145 million Americans. This massive breach is the third largest in history and the most serious one to date. The information that was hacked includes names, social security numbers, past and present addresses, credit card numbers, and more. Fraudsters may be able to use this information to access your existing accounts, open new lines of credit, and/or file a tax return in your name. Find out what to do if you are among the millions of people impacted by this breach. To discover if your personal information was among the hacked data, visit www.equifaxsecurity2017.com. Click the “Am I Impacted?” button and enter your last name and last six digits of your social security number. Equifax will tell you if your information was impacted by the breach. Even if your information was not compromised by the data breach, you can enroll in TrustedID Premier, Equifax’s free credit monitoring program. This service screens for suspicious credit requests across three credit agencies, but its scope is limited. TrustedID Premier can help identify new accounts as they are opened, but won’t be able to detect if your existing accounts are hacked. Although it was initially reported that signing up for TrustedID Premier would disqualify you from suing Equifax, the company clarified that will not be their policy going forward. Because no credit monitoring system is perfect, consumers should be vigilant about protecting their credit. All the credit bureaus and several private companies offer credit monitoring services (for a fee). You can also be proactive by regularly checking your credit report, paying close attention to your existing bank and credit card accounts, and filing your taxes early. If you notice anything suspicious, visit identitytheft.gov to learn what steps to take next. If your information was part of the cybersecurity hack, you have the option to set up a freeze with the credit bureaus (Equifax, TransUnion, Experian, and Innovis). A credit freeze prevents anyone from running your credit or obtaining a copy of your credit report. This is the most effective way to prevent identity fraud, but the process is time consuming (you must contact each credit bureau separately), and you may incur fees. A credit freeze can be “thawed” at any time, although there may be a 24-hour waiting period. If your personal information was stolen and used to take out a loan or file a tax return in your name, you may be able to seek relief from Equifax for the financial damages you incurred. Consumers impacted by the breach must choose between filing an individual action or joining one of the many class action lawsuits pending against Equifax. 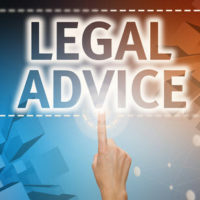 For more information about your legal options in the wake of the most serious data breach in history, contact Louis S. Schwartz at CONSUMERLAWPA.com.